Business wear should be a mix of professionalism and personality. If you are uncomfortable in your clothing — if it’s not authentic to you — your customers will know it. People don’t just buy your skill set, they buy who you are. If you dress like a duck but you aren’t really a duck, no one will respect you. My grandfather, S.S. “Nick” Nichols, was a master of using his wardrobe to express who he was. When I was a little girl, he was constable in Abilene, Texas. When he went to court, he wore an impeccable suit (the kind Cary Grant would have been proud to wear) because a suit was appropriate. He made it authentic to himself by pairing it with dress cowboy boots and a fine Stetson that had a faint mark on the brim where he touched it when he tipped it to ladies. Paired with his perfect manners, the personal brand he created for himself was “Western Gentleman of the Old School.” It was an appropriate and authentic representation of the man himself. 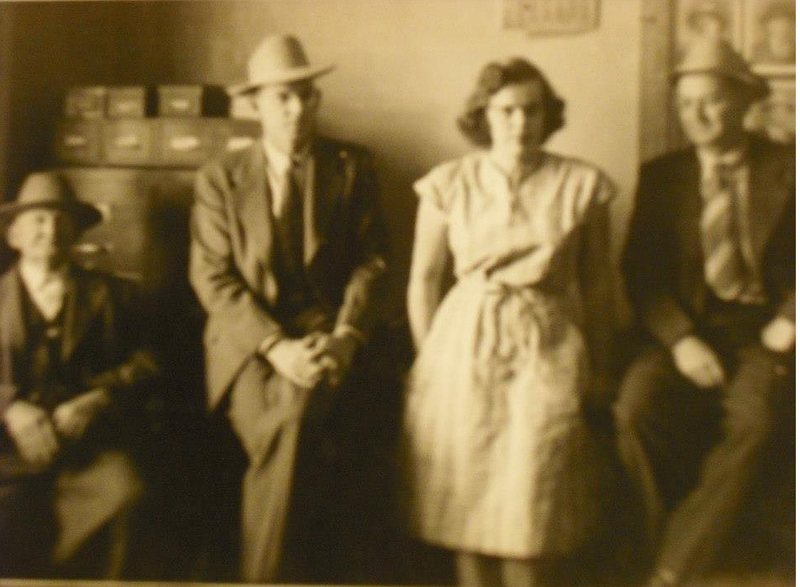 My grandfather, S.S. “Nick” Nichols (second from left), and his staff in the Sheriff’s Office, 1947. He was still wearing a suit and Stetson when he served as Constable years later. When I work with a client to create a personal wardrobe brand, I create that same mix of professionalism and personality. What are your boots and Stetson?